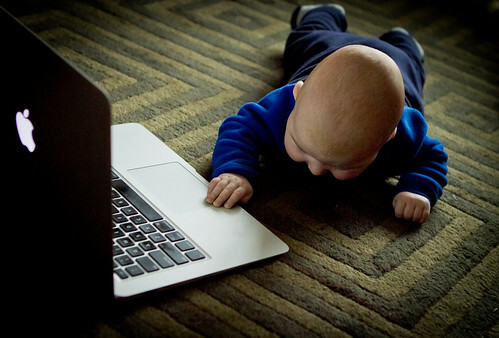 Harrison is really digging my MacBook Air. It's thin enough so he doesn't have to lift his hand over the lip of the keyboard because it's so thin, esp. when we are working on tummy time.